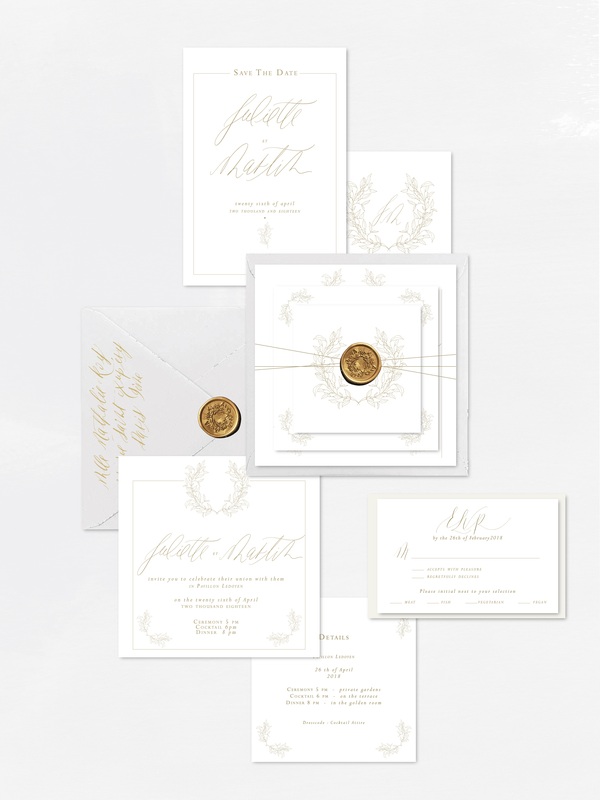 Over the last few years we have carefully selected a collection of suites, each inspired either by past inspiration shootings done with amazing vendors, or by our travels around the world. 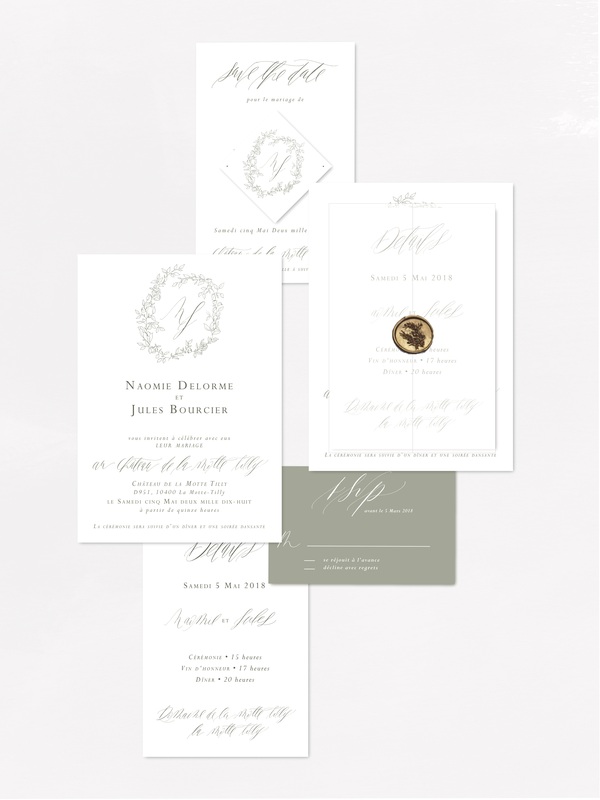 To view the full semi-custom design and in order to get a quote, click the photo below. 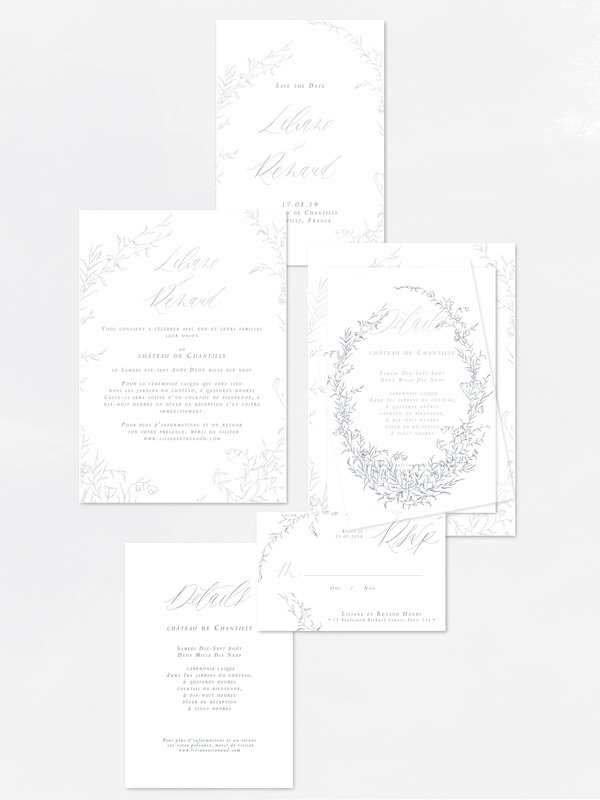 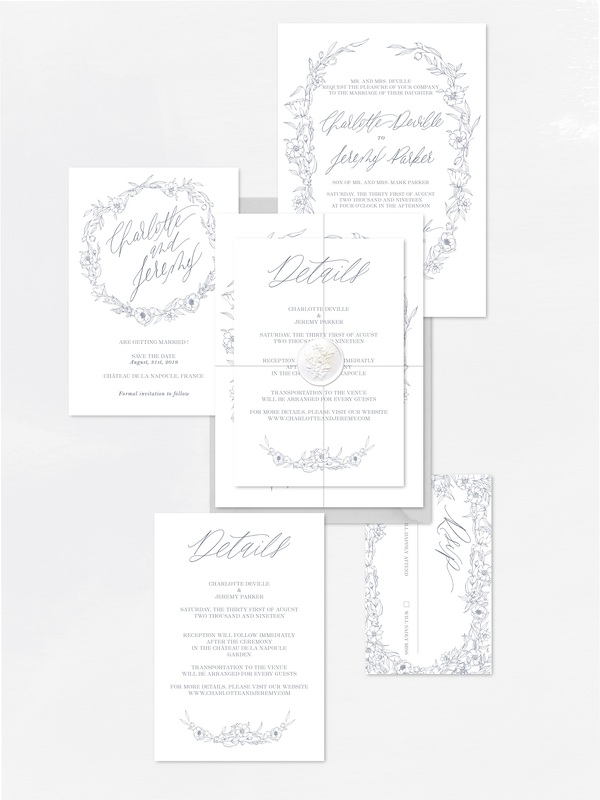 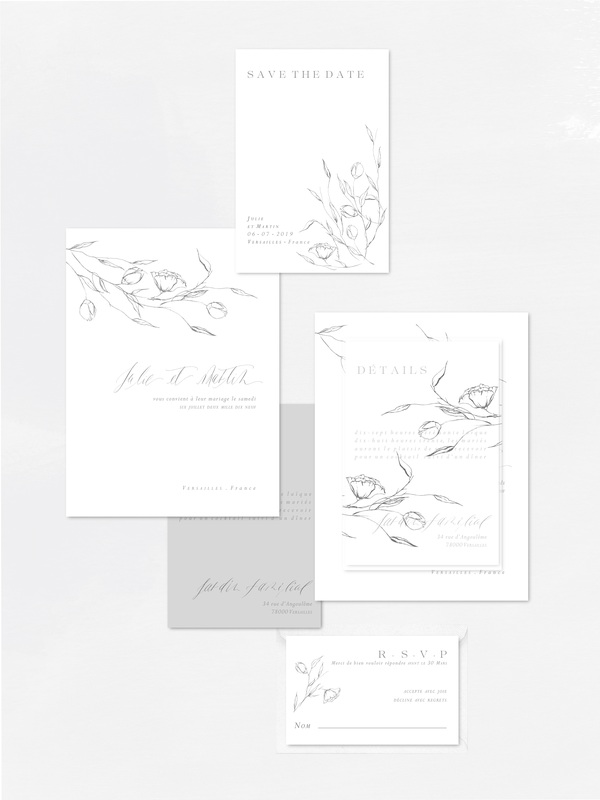 Semi custom means that the main design of the invitation will stay as it is. 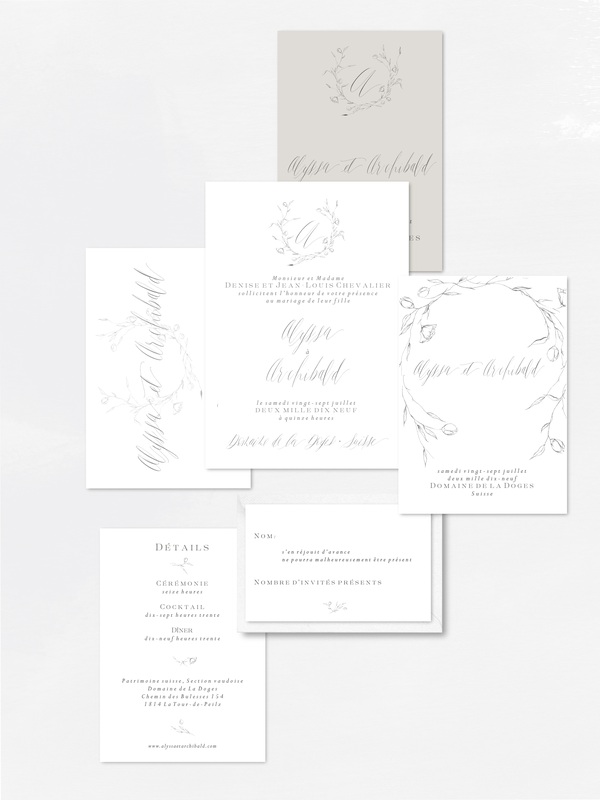 But semi-custom allows our couples to personalized it with a different content, colors, calligraphy and printing method that can transform the suite and make it unique.